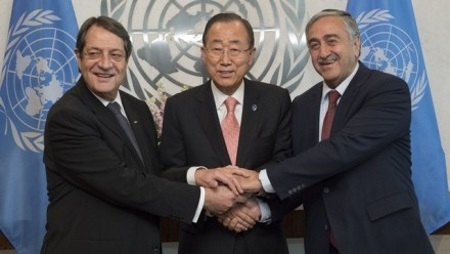 Cyprus negotiations will continue in Geneva as of Monday. Both sides have also invited the heads of the political parties to the negotiations. The international conference will start on 12 January at the end of the negotiations. It is expected that members of the UN Security Council and if necessary, the representatives of other related parties will also participate in the conference at which the guarantor countries Turkey, Greece and the UK will also be present. President Mustafa Akıncı will leave the TRNC on Sunday at 13:00 and Prime Minister Hüseyin Özgürgün, Deputy Prime Minister Serdar Denktaş, Minister of Foreign Affairs Tahsin Ertuğruloğlu and their delegations will depart for Geneva today. Turkish Cypriot negotiator Özdil Nami, the negotiation team and the press members will leave the TRNC on Sunday. CTP and TDP delegations will also depart on Sunday morning. President Mustafa Akıncı and the Greek Cypriot leader Nikos Anastasiades are expected to make a preliminary meeting on Sunday night. It has been stated that the Greek Cypriot leader Nikos Anastasiades will also go to Geneva with a delegation of 36 persons. The map and percentages will be discussed at the negotiations which will start on Monday and then the five-party conference will start on 12 January. If the conference becomes successful a referendum is envisaged in mid-2017. UN Geneva Office will be hosting the negotiations in Geneva. It is expected that the UN Secretary General Guterres will also participate in the negotiations in Geneva. This entry was posted in News and tagged 5-party Conference Geneva, Özdil Nami, Hüseyin Özgürgün, Mustafa Akıncı, Serdar Denktaş, Tahsin Ertuğruloğlu. Bookmark the permalink.